Do you remember Hrishikesh, the boy who played the role as an innocent younger brother to hero Dhanush in the movie Velaiyilla Pattathari- VIP (Raghuvaran B.tech in Telugu) is now turned into an independent hero. His Debut film as a hero is titled as “Rum”. Touted to be a heist-horror — the first of its kind in Tamil cinema, the film also has Miya George and Narain (in a cop avatar), in crucial roles. This upcoming horror film is written and directed by Sai Bharat. The young music sensation and the person with a soul- capturing voice, Anirudh is for the first time, will be composing for a horror film. Hero Hrishikesh while acting for his debut film, said that ” Although there are many horror films releasing in Tamil, I can confidently able to say that this movie will make a big success at the box office. The reason for my confidence is because of the good story of the film. I feel very happy to be introduced as a hero of the movie with such a good story”. 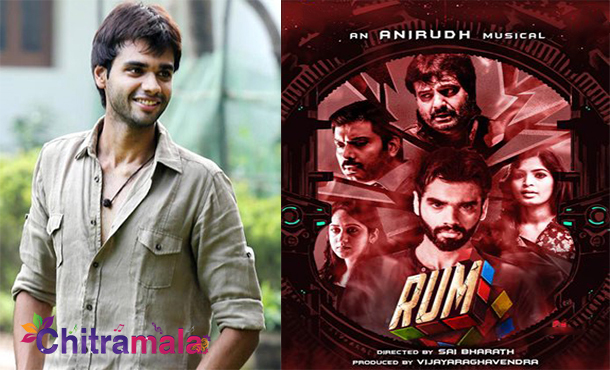 Will Hrishikesh bag a success as a hero with his upcoming debut film “Rum”. Let’s wait and see!